This is the site of Croll's Gardens and Hotel, famous as training quarters for the greatest fighters in boxing history 1883-1914. James Corbett, Bob Fitzsimmons, Jim Jefferies, Jack Johnson, and many other champions. This entire block was Croll's Hotel and athletic field for sporting events of the Bay Area. 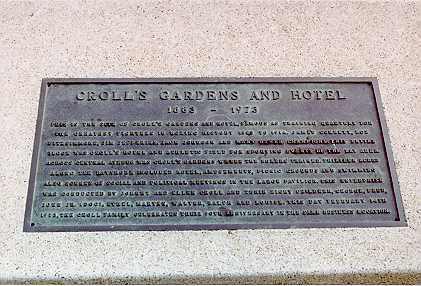 Across Central Avenue was Croll's Gardens where the boxers trained. Thirteen acres along the bayshore included hotel, amusements, picnic grounds, and swimming. Also scenes of social and political meetings in the large pavilion. This enterprise was conducted by Johnny and Ellen Croll and their eight children, George, Fred, John Jr. (Doc), Ethel, Marten, Walter, Ralph, and Louise. 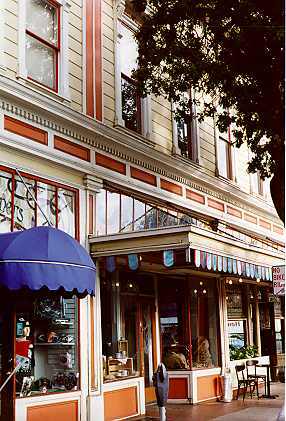 This day February 14th 1973, the Croll family celebrates their 90th anniversary in the same business location.